If you’ve never heard about Sportingbet, then you’ve probably lived under a rock for past two decades. This British e-gaming operator and the online betting provider was found in 1997 by Mark Blandford. In the course of the years, the bookmaker has expanded its business successfully and in 2004 managed to acquire Paradise Poker. However, this unsuccessful investment lasted for a few years. In 2007, Sportingbet eliminated its Paradise Poker platform and transferred all players to their poker software. Just a year before that the online bookmaker took another heavy blow, it sold all US-based businesses without any profit. Rumors have it that the company had millions of debts, which were covered by private investors. These unfortunate events made the board of Sportingbet take the final step. In 2012, the headquarters of the online bookie decided to make a takeover deal of £530 million from GVC Holding and William Hill. Nowadays the Sportingbet’s Australian and Spanish operators are owned by William Hill, and all the other ventures are operated by GVC Holding. The bookmaker is actively serving players worldwide. However, many countries are restricted such as some European and Asian ones, as well as the USA. Sportingbet is part of the London Stock Exchange, and their main office is located in London, UK. Today Sportingbet is surely not that popular as back in the days, but still it’s a great place for recreational gamblers to spend some great time. The sports betting markets are more than 25 including almost all of the popular sports. Also, players are free to wager on financials and awards. Apart from the well-designed web platform for betting, every customer can bet by phone. Sportingbet also offers live streaming and live betting for tennis, cricket, ice hockey and golf, which makes the sports betting experience quite enjoyable. And talking about great services, we can’t miss the mobile application, which supports various devices. There is also a detailed betting history always available to the registered user. 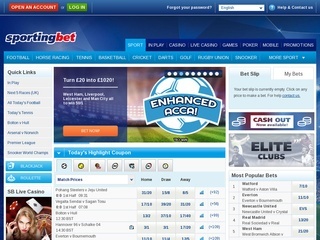 There are many other gambling offers presented by Sportingbet. Players can also spend a great time in both the standard and live casino (with blackjack, roulette, slots and many other games), poker, virtual sports and many other “Vegas” games. The good news is that all sports and other opportunities are available with just one registered account and a single e-wallet. Convenient, isn’t it? The odds are great compared to many other sports betting operators in the branch. For American sports in an even match, they are 1.91 – 1.91. According the statistics, the overall betting margin of Sportingbet is calculated to 4.1 percent, which is not bad at all. 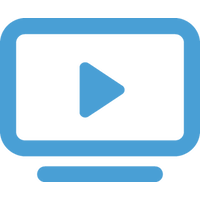 Every user of Sportingbet can pick the desired odds format on the platform from UK, EU and US standard. The lower betting boundary set by this online bookmaker is £0.5, and the highest possible wager can be different depending on the sports event. Winnings are limited to £250 000 a day. Football betting enthusiast will be able to satisfy their gambling hunger with various options for their favourite game, such as Correct Score, Draw No Bet, Double Chance, Under/Over, First Part, Second Part, Half/Full Time, Handicaps (Asian Handicap is excluded unfortunately) and other schemes. There are also single and multiple bets available. Most of them are Accumulator, Trixie, Patent, Yankee, Lucky 15 and 31, Super Yankee, both Heinz and Super Heinz, Goliath and the more complicated system bets. As many big names in the gambling industry, Sportingbet is very serious when it comes to security. The sports betting giant uses SSL encryption for its web platform certified by VeriSign. With such a big database of customers, the online bookie has a heavy layer of protection on their systems. And to bring its customers extra peace of mind, Sportingbet is the member of two major fair gaming regulators namely IBAS and ESSA. Talking about peace of mind, we should say a few things about the customer care department. The support services are operational from 10 AM to 10 PM (GMT) every day. Players can contact Sportingbet’s representatives by phone, live chat and email. Various languages are supported to ensure top communication and perfectly resolved issues. There is also a well-designed Help and FAQ system available in many languages with detailed explanations. 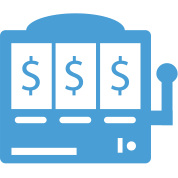 This online bookie offers a wide range of payment methods. Of course, the most popular ones are available. Of course, there are waiting time for some of the option, but in general almost all of them are instant. There are no charges on both deposits and withdraws. Sportingbet also offers an exciting opportunity for every client. It’s called “Cash Out” and allow players to cash their winnings before the final result. This amazing option is a great feature for those who like to lower the risk and play it safe. A welcoming deposit bonus is to all new players. The promotion is Deposit of 150 EUR and get bonus of 150 EUR + 30 EUR in free bets . The rollover requirement is deposit to be roll over 7 times and the free bet just once. 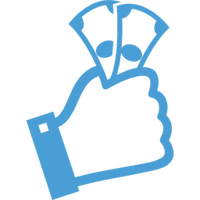 VIP programs and other promotions are not presented on sports betting. 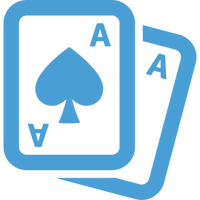 However, the other platforms, such as poker and casino, offer many types of hot deals and attractive bonuses for players to enjoy.